Luciano Pagani And Angelo Perversi. 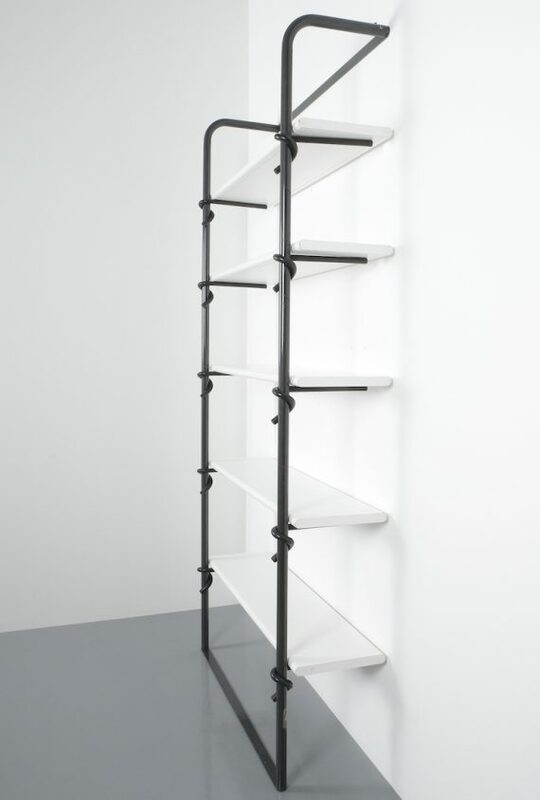 Rare Library Shelf System By Luciano Pagani And Angelo Perversi, produced by Joint, Italy 1987. 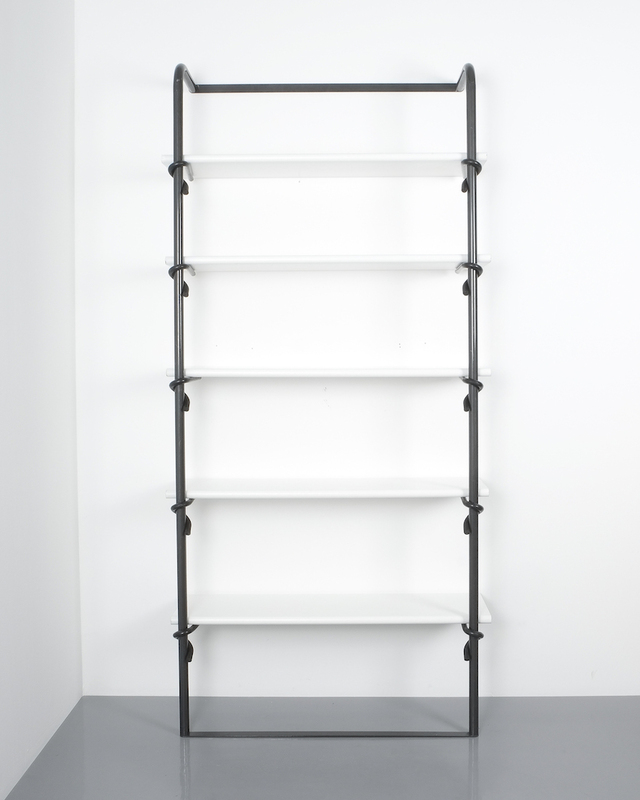 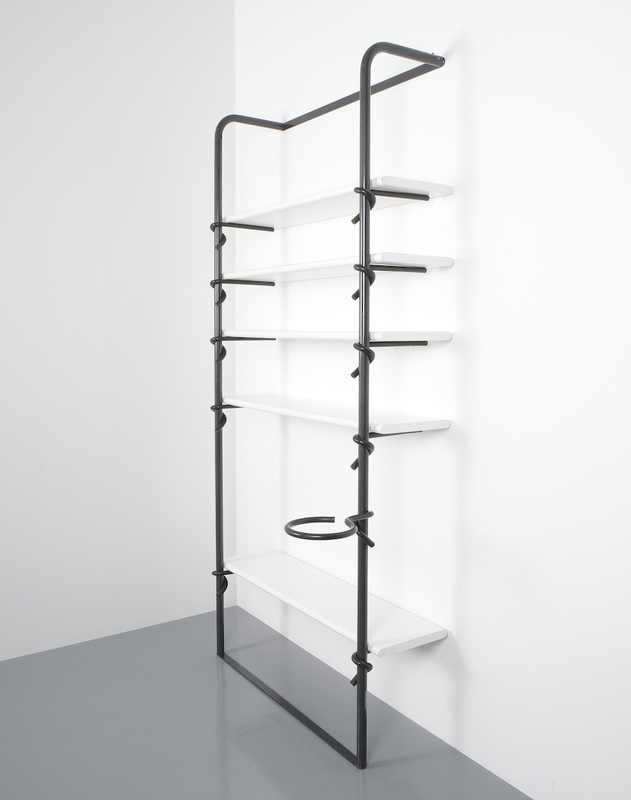 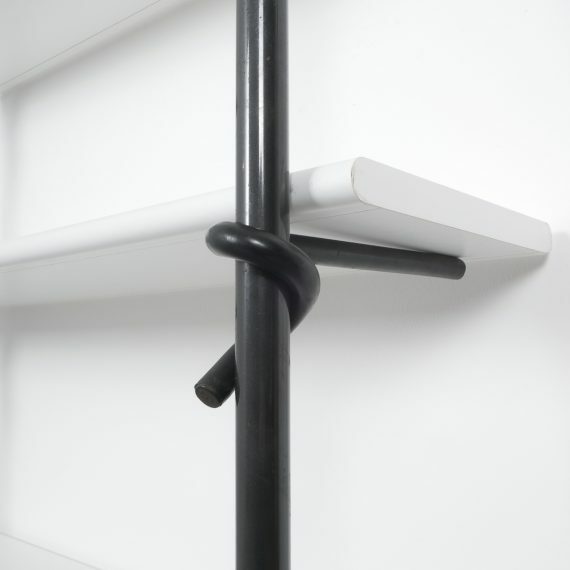 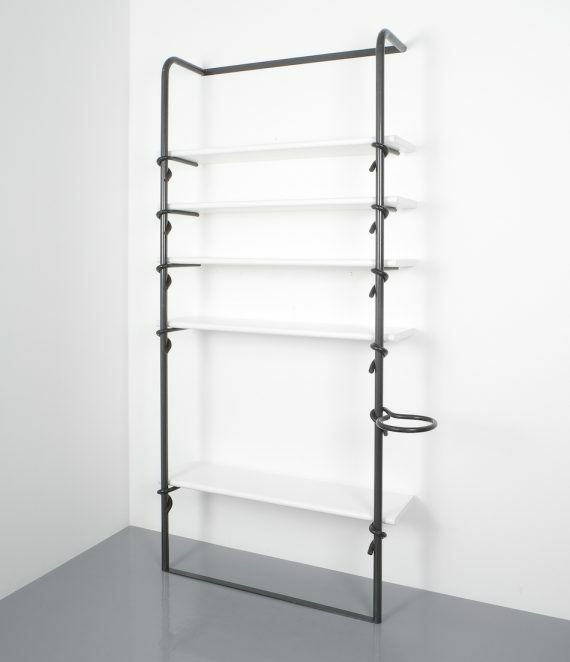 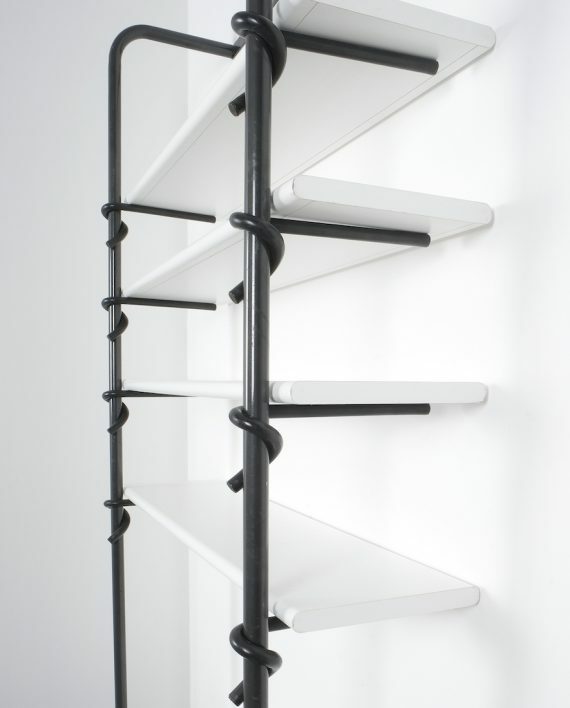 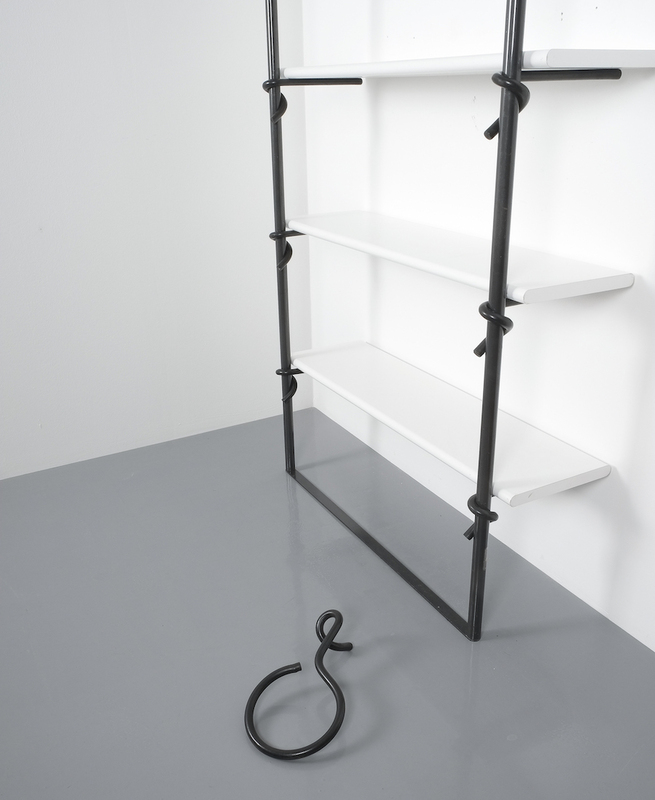 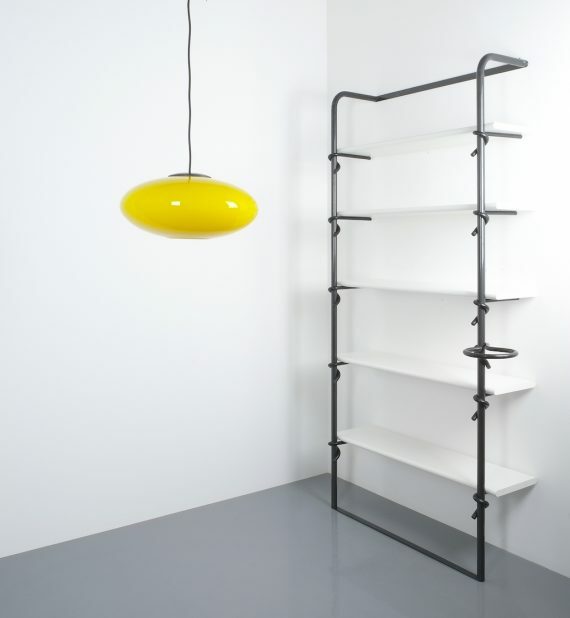 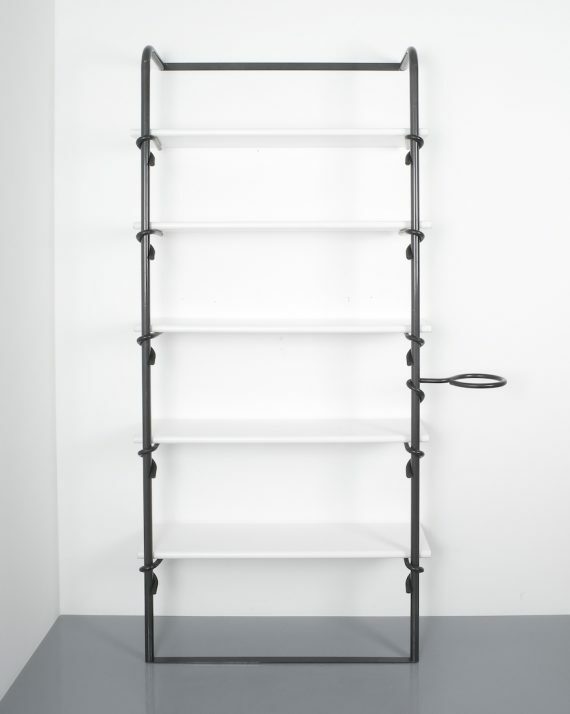 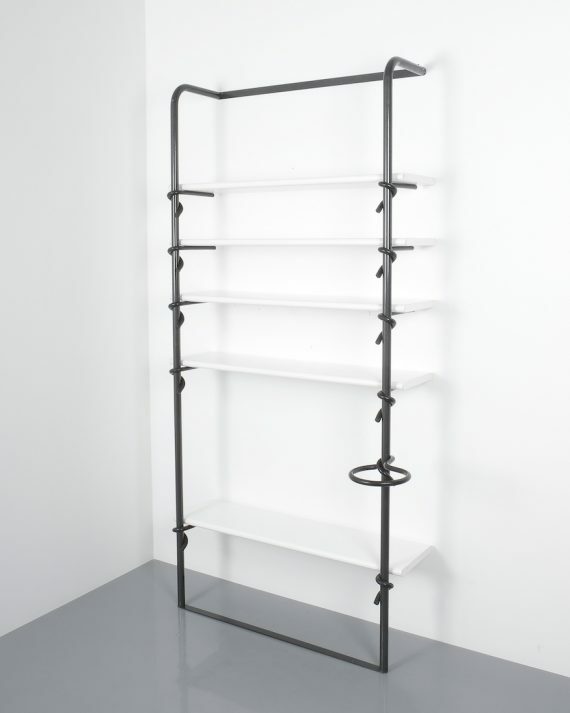 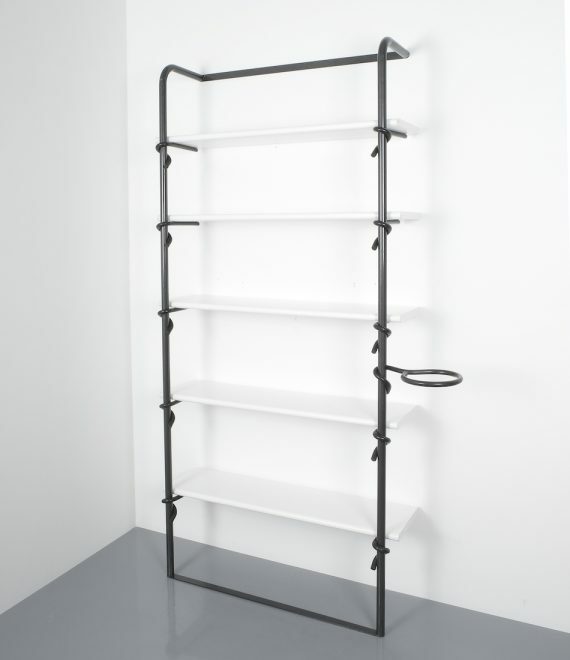 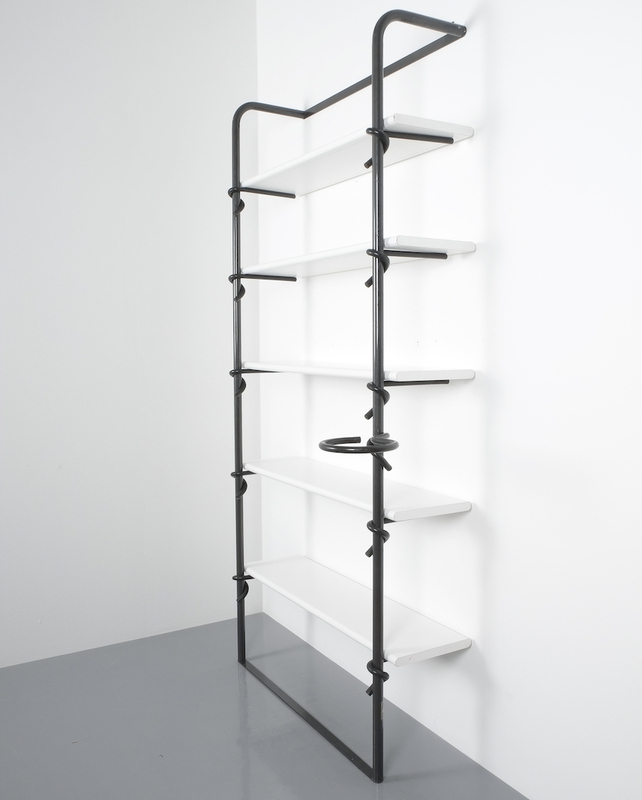 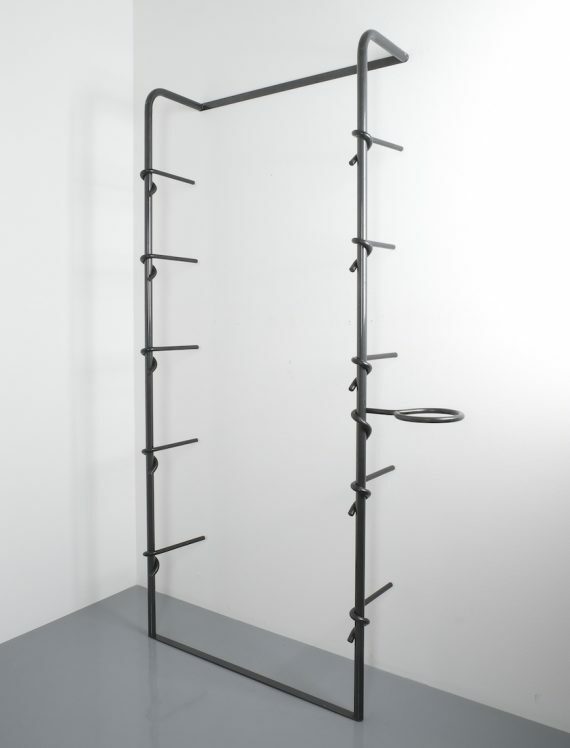 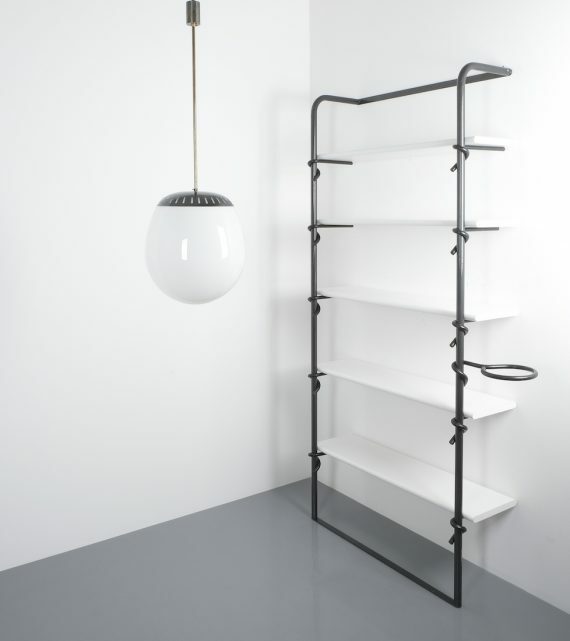 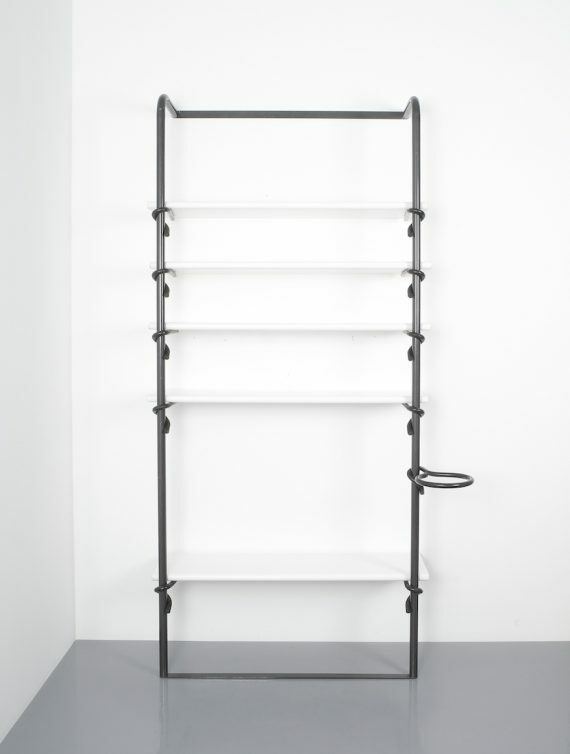 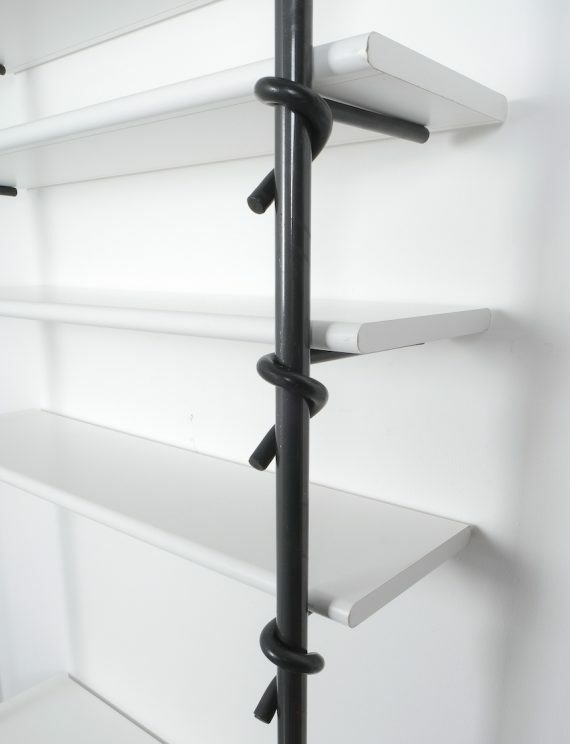 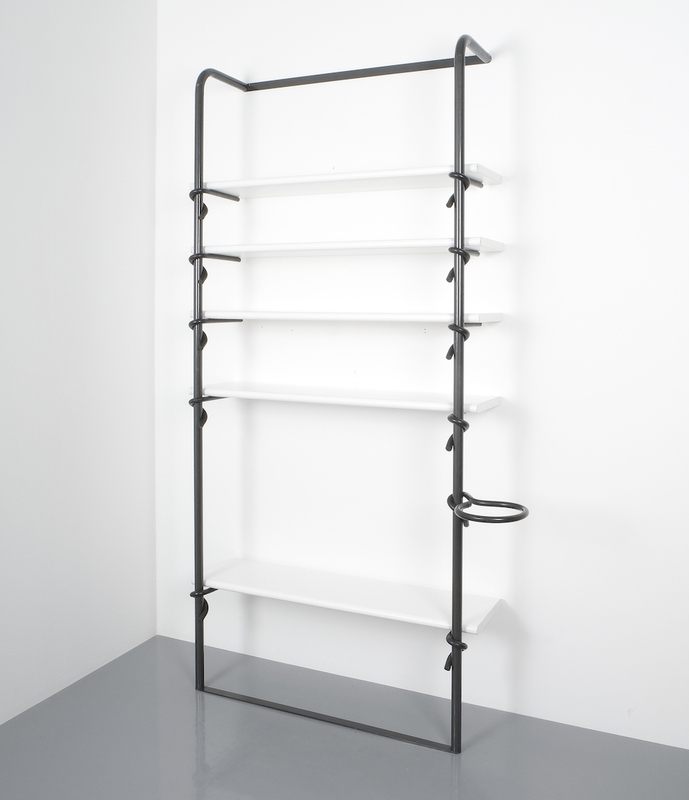 Shelf system made from black steel and formica covered wood with adjustable rubber coated steel hooks that serve as cantilevers for the shelf boards. It’s therefore easy to adjust and features an unusual flower-pot holder. It’s in good condition with some inconsiderable scratches to the formica. Dimensions are 82.32″ x 39.37″ x 12.99″.